Download demos and trial versions, product documentation, free presets and more. You May Download a Free Demo After Logging In! Avenue is an instrument for VJs, AV performers and video artists. It puts all your media and effects right at your fingertips so you can quickly improvise your live visuals. Resolume 6 is now 64 bit and multi-threaded so it can rev up all the CPU cores in your computer and utilise all available memory. You can now play more layers, in higher resolution (4K anyone?) so you can perform on bigger stages. Deck switching is now super fast so you can quickly find that one clip you're looking for. The recorder is much faster so you can record longer and at higher resolution. Playback of DXV encoded files is much faster, as well as other formats. The interface now renders beautifully crisp on high-resolution screens. You can re-arrange the panels in the Resolume interface to create a layout that suits your workflow. Preview monitors are now available directly on the composition, group, layer and clip panels. No more fiddling and guessing with grey RGB sliders, just click on the color you like. Store your favourites in a palette, map them to your MIDI controller and you can quickly follow the light changes on stage. With a search bar on every browser panel you can quickly find Effects, Generators, Files and Compositions. With color coding you can highlight a specific clip, layer, group, column or deck. To make things even clearer you can now update clip thumbnails, rename columns and rearrange decks. Always find what you're looking for quickly. With the Media Manager you have a great overview of all the files in your composition and you can easily copy a composition to a different location. Always keep your most important clips always within reach, by making them persistent across decks. With the Next & Previous Column buttons you can easily play a sequence by triggering the next column. Great for theater plays and scripted presentations. With Ableton Link Resolume stays in sync with Ableton Live or any other software that supports Link. You can even use it to sync two computers running Resolume. Never experience that moment again where you accidentally triggered a clip that really you shouldn't have. Lock the content on a layer and it will stay there no matter how trigger-happy you are. With groups you can create mini-sub-compositions in your composition. Groups have their own column triggers, effects, dashboard, monitor and master faders. You can even route a group straight into a slice. Groups are an Arena only feature. Turn an layer into a mask for all the layers beneath it or apply it to just the layer or group directly underneath. Slice Transform effects let you position your content exactly to the input slices that you created in the Advanced Output. This is a game changer for mapping large stages with many LED panels! Arena Only. The envelope editor adds life to your parameter animations. With many predefined curves you can make your paramaters groove instead of just move up and down. Indispensable when combined with Text Animator! The Keyboard, MIDI, DMX and OSC Shortcut system is completely overhauled to make it more flexible and easier to understand. You now get a great overview of your shortcuts in a list and you can create presets for your favourite controllers. Light up all the pretty colors on your MIDI controllers. See on your controller what clips are playing or even see the color of effects. 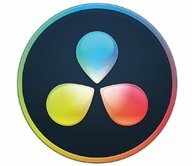 Native support for Black Magic Design capture cards has been improved and Resolume can now get input from, and output to, capture cards from AJA and DataPath. With NewTek NDI you can send and receive video between computers on the same network. Use any resolution you like, with an alpha channel, in high quality and low latency. In case of any unexpected crashes, you can directly send us a bug report so we get as much information as possible to fix it as soon an possible. We'll be releasing minor updates much more often because Resolume 6 will update itself. This way you'll always run the most recent and stable version. Show/Hide Dashboards, BeatLoopr, Crossfader, Auto Pilot, etc, etc. Resolume puts you in charge. You can play your videos when you want, how you want. Forwards, backwards, scratch and adjust tempo to the beat. Mix and match your visuals quickly and easily and play Resolume like an instrument. Whatever your style is, Resolume offers you an easy interface to rock it. Use as little or as many videos and effects as you like. The only limit is your computer's raw power and your imagination. You can play on any amount of screens. From a simple screen behind the DJ in your local club to main stage at Ultra. As long as your computer can recognise it as an output, Resolume will let you use it. Project video on any type of surface. Complex geometrical structures or whole buildings. Resolume does all the hard work, so you can concentrate on the important part: being creative. With edge blending you can seamlessly project one beautiful widescreen image with two or more projectors. It can even wrap around for a full 360 degree experience. With Arena you can take on any size mapping project. From projecting on DJ booths to cars, buildings and LED mappings on giant stages like Ultra. Think outside the screen and colour the lights too! With Arena 5 you can send out colours to DMX fixtures and the lights will be in sync with your visuals. Adjust the scale and position of your clips to suit your needs. Apply effects to drastically change the look of your video. Everything runs on the video card so you get the fastest performance and best image quality possible. Apply effects, blend, mix, cut and edit, everything happens on the spot. Resolume also plays your generative content made in Flash or Quartz Composer. All visual effects in Resolume are plugins and you can easily add more effects by download 3rd party plugins. You can even program your own using OpenGL. On the audio side you can use VST plugins to play your favorite effects. With Syphon on the Mac and Spout on Windows you can stream visuals in real-time between Resolume and other apps. You can even program your own apps that integrate with Resolume. Connect a plug & play webcam or capture a high-end camera and bring images of the crowd, the DJ or the band on-stage into your mix. With native support for Blackmagic, AJA and DataPath capture cards you can input and output almost any video source. Resolume plays both audio and video files. Juggle pixels and composite beats, combine any video file with any audio file. Resolume has both audio effects and video effects. Use them separately or combine them to create exciting new audio visual effects. Make clips and effects dance to the beat. Resolume can analyse audio to make any parameter bounce to the music. "Yes I AM actually DJing Live"
With SMPTE Timecode input in Arena you can run you clips in sync with the DJ. Watch below how Armin van Buuren controls the show with Pioneer CDJs and Resolume. Liberate yourself from the mouse. Use your favourite MIDI controller or get physical with your iPhone via OSC. You can control Arena from a lighting desk using DMX. Use our standard personality or configure your own. Arena Media Server does everything Avenue can but adds a number of premium features. Log in to leave your own rating. Sorry, no ratings have been submitted for this entry yet. What's new in version 6.1.3? What's new in version 6.1.2? 11965 Layers and columns can get messed up after Collect with update current composition. 11978 Alley is not code signed properly? 12042 Thumbnail loaded from file is not keeping aspect ratio. What's new in version 6.1? The 6.1.0 release is a major point release, which means we added a big feature. As we announced a few weeks ago, we made it a lot easier to sync a prepared video set to the audio coming from the DJ. If you work with a DJ that mixes on a Denon setup, you can sync every video in Resolume to every track on the players. You can read all about that in the manual. Suffice to say, this will make banging out those DJ intros and special show moments a piece of cake. We also have a handful of bug fixes. If you're using multiply a lot, make sure you peek the warning below! We fixed the jump cut when ejecting a clip from a multiply layer using a transition. The multiply blend now works the same as in Photoshop. So far so good! This also means that when using the multiply blend in combination with content that has transparency, the visual result will be slightly different, also in existing compositions. If you prefer the old look, you can disable the alpha channel in the content. What's new in version 6.0.11? #11316 DMX inspector is initialized with random channel values. #11376 Resolume can have trouble starting without a valid audio output device. #11384 Cue points are not imported from R5 compositions. What's new in version 6.0.10? This one's a biggie. We upgraded the NDI SDK to their latest 3.5 release. This fixes quite a few edge case bugs and improves overall performance and stability. Edwin created a new effect that creates an extrudable sphery thingy from your footage. Hooray for extrudable sphery thingies. He also added quite a few parameters to the Colorize effect. Because you can never have enough control over your colors. #11296 SMPTE Clip offsets are based on 25 FPS on composition reload instead of actual SMPTE frame rate setting. #11192 Creating a new composition after a 16bpc composition leaves rendering on 16 bits? What's new in version 6.0.9? 11118 Appcrash dropping slice/fixture from slices panel to composition if slice is smaller than 1 px in a direction. What's new in version 6.0.8? 9668 Can i has F2 to rename a screen/slice? 10919 Cannot select stereo FFT input. 10912 slide effect shows black gap between texture instances when animated. 10722 OSC mapping: clip in/out points have the same address as the playhead, they can't be changed this way. What's new in version 6.0.6? 9946 Resolume hangs when using multiple USB ports for capturing. 10389 Group transport controls in deck UI don't behave properly when Envelope is on it. 10459 Fader Start = On; shows one or few frames where you last went on 0 opacity instead of picking up from the beginning. 10719 Ableton push not working in Resolume 6, works on the same machine in ableton. 10730 Fix animation getting into a state of having no duration. 10834 AV DXV flashes file's first frame start on launch if clip is set to loop. What's new in version 6.0.1? What's new in version 4.6.4? What's new in version 4.6.3? [FIXED] Slice name sometimes has outline. What's new in version 4.6.2? What's new in version 4.6.1? What's new in version 4.6? RGBW(A) fixtures don't output the correct values. SoftEdge textures dont get updated when slice is moved through params. Soft edge has a black line. Use computer name as default node name instead of "Resolume"
No right click context menu for masks? What's new in version 4.5.4? What's new in version 4.3.5? What's new in version 4.5.2? User is prevented from entering same port for OSC input and output on the same IP. Scrambled Japanese characters in output setup. What's new in version 4.2? FIXED: When show display and slice info is turned on, syphon displays show "no device"
A special note to people on OSX Mavericks: in some cases, Resolumeâ€™s performance would drop when the menu bar on the second screen was disabled via â€˜Displays have separate Spacesâ€™ in the Mission Control system settings. Resolume 4.1.9 covers the menu bar automatically when you go fullscreen. So we recommend enabling â€˜Displays have separate Spacesâ€™ again in the System Preferences of your Mac. Jitterbug transition - Like TimeSwitcher, only better. Tint - Like Colorize, only better. Flash no worky on the Mac. We now include the flash player in the .app bundle so on the mac Resolume does not depend on the flash player that is installed on the system. Crash when creating new composition, resizing composition and opening midi map. This was a huge thorn in our eye for a long time. Luckily we were finally able to get our hands on a machine that had the problem, and we fixed it up good. Implement latest Enttec DMX USB PRO API (ftd2xx.lib). This is tech talk that basically means we now speak the same language as Enttec themselves. Entteccian. Layer Opacity 0 = Bypass. When the opacity of a layer is 0 it's not rendered anymore. This can give a huge speed improvement, especially on hi-res compositions with a lot of layers. Here are a couple of great tutorials from DocOptic that will teach you how to get the most out of your Resolute Arena and Avenue 4 experience!